• Selective Rack: Selective rack provides the most flexibility in a warehouse because you can immediately access every pallet. 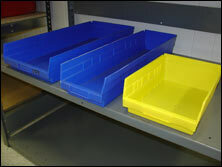 Selective rack is good for warehouses with high turnover of products. 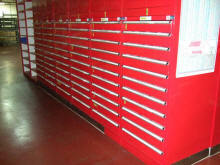 The drawback of selective rack is low storage density. 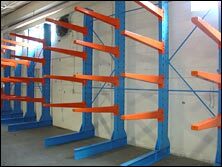 • Pallet Flow Rack: Pallets are loaded on one end and flow forward to be unloaded on the opposite end, providing good rotation and first-in, first-out inventory. 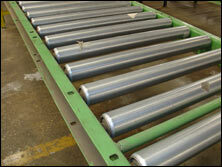 The automatic rotation of stock saves time, reduces forklift use, and is beneficial for perishables. 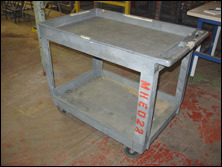 • Pushback Rack: Pushback rack is good for dense storage of goods that don’t have to be rotated often. 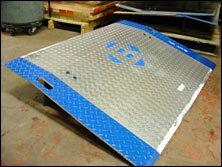 Pallets are loaded and unloaded from the front, resulting in last-in, first-out inventory. 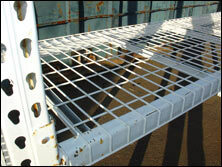 • Drive-In Pallet Rack: This is a very dense style of storage that’s often seen in freezers. Pallets are loaded and unloaded from one side, stacked as deep and high as space allows. Forklifts can drive into the rack structure, right up to the next available pallet for loading and unloading, which provides last-in, first-out storage. 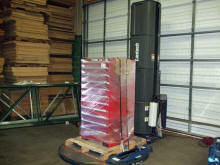 • Drive-Through Rack: Similar to drive-in pallet rack, except forklifts can enter from both sides to access pallets. 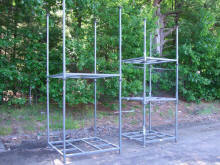 Drive-through rack is also good for cold storage, fast-moving merchandise, and dense storage of similar items. • Double Deep Rack: Double deep rack is similar to selective rack, except it offers more density because pallets are stored two-deep. They are loaded and unloaded from one side for last-in, first-out retrieval, but double-deep rack offers more selectivity than a drive-in rack system. 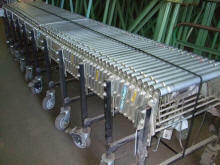 • Narrow Aisle Rack: Special forklifts have been developed to navigate between very narrow aisle racks. 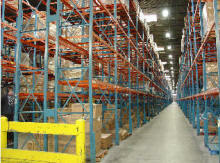 Pallets and boxes on narrow aisle racks are 100 percent accessible. 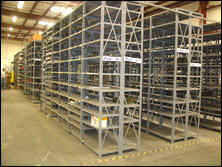 Narrow aisle uses much less floor space than selective racking. • Cantilever Rack: Cantilever is best utilized for the storage of long, awkward items like lumber, plywood, steel bars, tubes, rolls, furniture, and sheets. 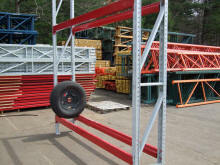 Since there’s no support beams in the front, cantilever rack allows easy loading and unloading. • Portable Pallet Racks: Portable racks do not require wooden pallets and can be customized for better storage density or better selectivity. 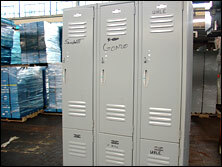 Portable racks also can be broken down and stored, which is beneficial for fluctuating inventory levels.